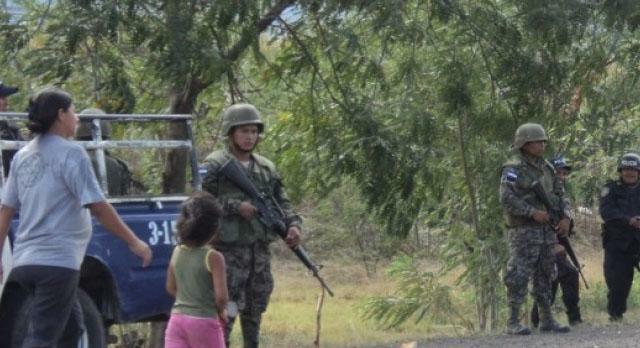 According to The Broad Movement for Dignity and Justice (Movimiento Amplio por la Dignidad y Justicia, MADJ), The National Preventive Police Force along with government officials in Yoro were informed ahead of time that the Tolupan were receiving death threats and that armed men were brazenly walking around Locomapa, provoking fear in the residents of the area. However, in January of 2013 the Honduran government passed a mining law that blatantly gutted the right of consultation and consent held by Indigenous Peoples. This law added to and even legitimized the attitude of impunity towards Indigenous Peoples of Honduras. Days before these murders, eight Indigenous protesters were charged and prosecuted for defending their forests four years ago. The National Coalition of Environmental Networks of Honduras has condemned the reprehensible act and are demanding justice for its perpetrators. They have demanded an end to the indifferent attitude supporting the treatment of Indigenous Peoples in environmental and territorial conflicts. Where communities have expressed their total rejection of mining and hydroelectric projects and despite allegations of persecution, harassment, and death threats, impunity reigns. Recognizing the community of San Francisco de Locomapa and those murdered as victims of the greed of the mining companies and state indifference, they have also called on all social organizations to join this struggle for the defense of life, access to justice and respect for the Rights of Peoples. The Broad Movement for Dignity and Justice also demands justice for Indigenous people defending their territory and demanded urgent investigation and punishment for those responsible for these murders. They also demand the prompt intervention of the Human Rights Prosecutor to proceed with due inquiry, and that the State of Honduras comply with ILO Convention 169 which is an authoritative international treaty recognizing the aspirations and rights of Indigenous Peoples to take control of their own institutions, ways of life and economic development and to maintain and develop their identities, languages and religions, within the framework of the States in which they live. The Secretariat for Natural Resources (SERNA), the Special Prosecutor for Ethnic Groups, INHGEOMIN, the National Police, and the Special Prosecutor for Human Rights to attend to the grave situation of the Tolupan in Locomapa, Yoro.